Searching for the perfect pair of under-£100 ankle boots for autumn? Look no further—we've discovered them at U.S. favourite shoe brand, Steve Madden. 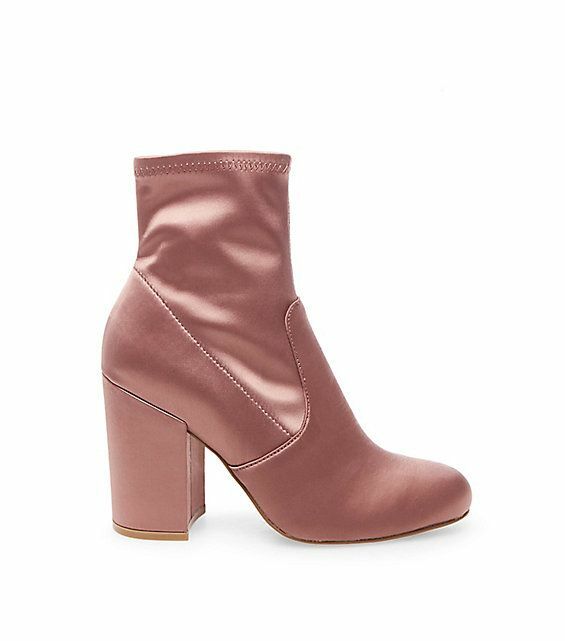 The brand's Gaze Booties (£90) from the best sellers section come in a whopping 11 different colours, and we're almost tempted to collect them all. If we'd have to narrow down a few of our favourites, we'd pick the satin versions in pink and green. Satin is a trend we haven't stopped talking about for the past six months, and it shows no signs of slowing down for autumn. Which version are you dying to swipe up? Scroll down to shop our favourite ankle boots from Steve Madden's best sellers section. Next up, 38 of the best A/W 17 ankle boots you won't want to miss.